Paradise Motor Homes is currently located on the Gold Coast. 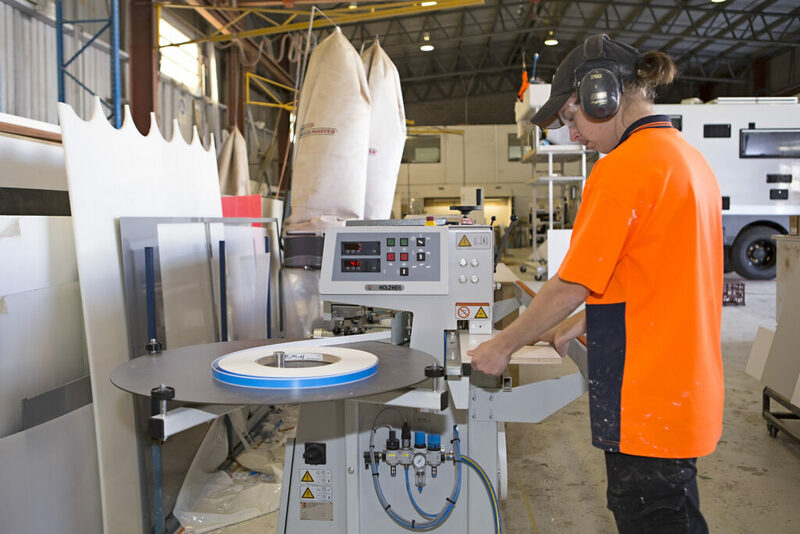 We employ over 50 dedicated staff, predominately in manufacturing and servicing of our motorhomes, built proudly in Australia. We are always striving for excellence and consistently looking to improve in all facets of the business, as we design, manufacture, sell and service our motorhomes. At Paradise Motor Homes, we are about quality, comfort, safety and adventure. Our aim is to provide our customers with the means to go out and create their own unforgettable experiences. After all, we are building and selling, not just a motorhome, but a journey. At Paradise, our relationship does not end when you sign the contract. You can take confidence from the fact that the company selling your motorhome is the company building your motorhome. It is also the company that can service and maintain your motorhome throughout its life. We want your journey and our journey to be shared. Safety has always been the hallmark of a Paradise Motor Home. 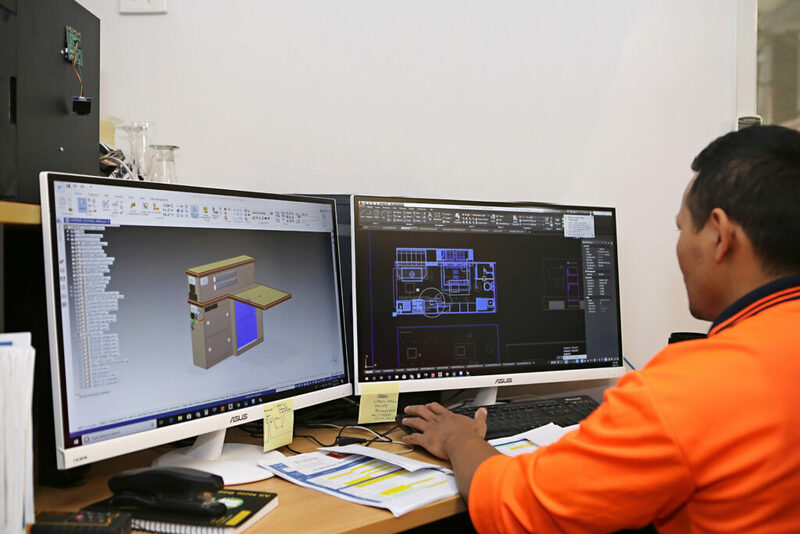 At all times, we strive to exceed Australian Design Rules and government regulations to ensure the safety of you, your loved ones and all road users. We believe that a commitment to safety is not just about the product, but also about the employee who is responsible for the creation of this world class product. As such we have embarked on an extensive workplace health and safety campaign, introduced new production systems and methods and sort higher engagement from all our employees in the improvement of our workplace. We believe that in the longer term this will cement our end to end commitment to safety and improve growth, sustainability and development of our brand, ultimately your journey. Durable one-piece fibreglass domed roof. One-piece composite floor panel – superior insulation, noise reduction and durability. PMH patented slide-out – adding structural strength to frame. 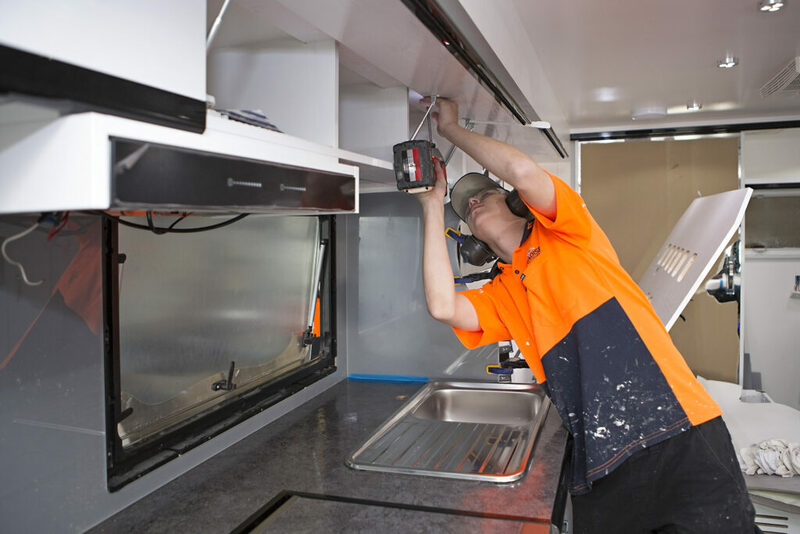 These features are not only fire safe, they also avoid rust and water damage issues that adversely affect the safety and durability of motorhomes with steel frames, plywood floors and walls. 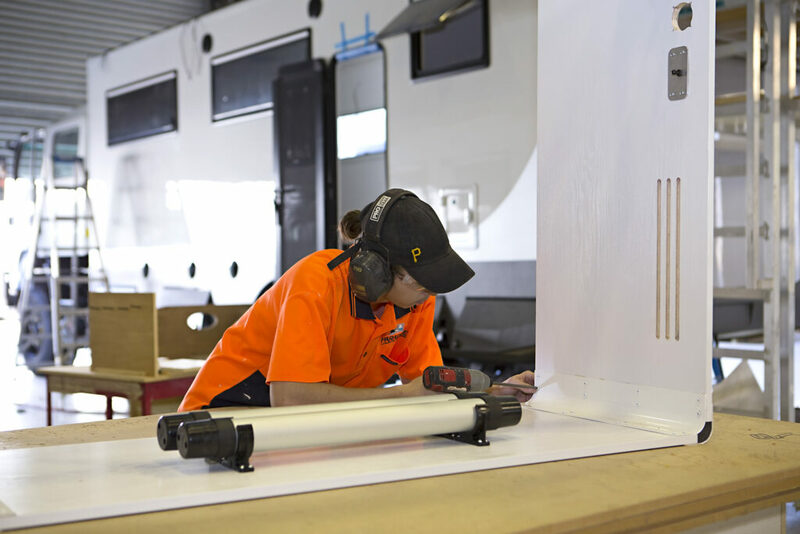 Paradise manufactures its slide-outs as an integral part of our motorhome’s chassis. As Paradise’s slide-outs increase in length, the more supporting members the frame gains, ensuring strength and durability is maintained and not comprised. Our unique dovetailed interlocking cabinet construction, locks together like a structural 3D jigsaw puzzles. We have achieved remarkable strength and durability with this process and you will not find anything safer or stronger. 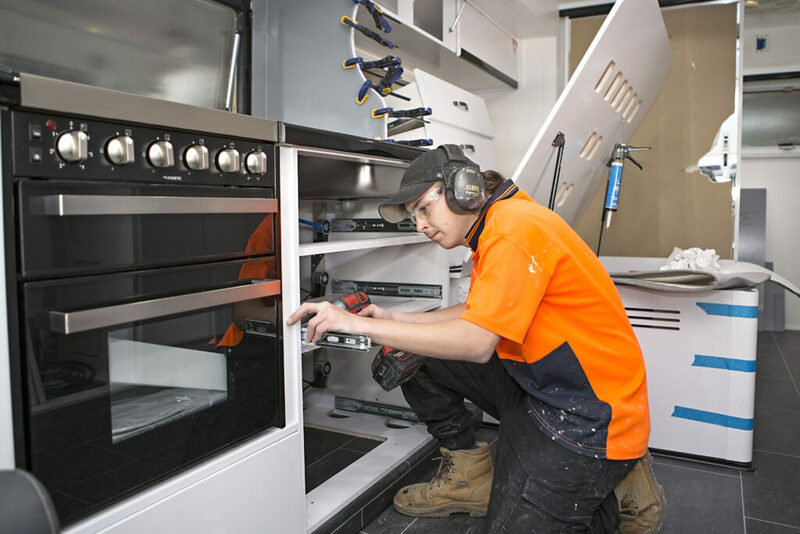 Our cabinets and drawers are fitted with an electro-magnetic locking system which has been pulled tested to prevent cooking equipment and utensils and other personal belongings flying through the cabin, increasing your personal safety if a road accident were to occur. There are a number of features included in our motorhomes that provide the owner and passengers piece of mind, like when the handbrake is released and our patented autolocking cabinetry is activated, the electric entry step retracts and options like the levelling jacks and satellite dish pack away just in case you missed them on your departure list. Optimising our motorhomes weight distribution and transverse axle loads while lowering the centre of gravity by maximising the under-floor storage capacity delivers a high level of vehicle dynamics and safety. Paradise Motor Homes use and recommend Cromax 2K Paints. The Cromax Coating System is designed especially for high quality, professional and accurate auto paint finishes, offering longevity and protection against Australia’s harsh conditions. Have a sales or technical question? Our friendly sales manager will be happy to answer any questions you have. Call today on (07) 5597 4400 or request a call or email back using this form.